"Meekness is the quality of those who are 'Godfearing, righteous, humble, teachable, and patient under suffering' (Guide to the Scriptures, s.v. 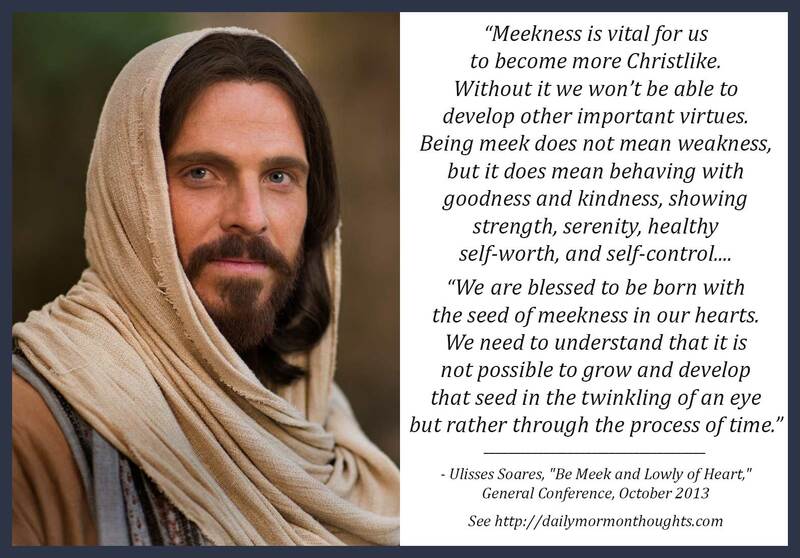 'Meek, Meekness'). Those who possess this attribute are willing to follow Jesus Christ, and their temperament is calm, docile, tolerant, and submissive. "The Apostle Paul taught that meekness is a fruit of the Spirit (see Galatians 5:22-23). Therefore, it can most easily be attained if we 'live in the Spirit' (Galatians 5:25). And to live in the Spirit, our lifestyle must reflect righteousness before the Lord. "Meekness is vital for us to become more Christlike. Without it we won’t be able to develop other important virtues. Being meek does not mean weakness, but it does mean behaving with goodness and kindness, showing strength, serenity, healthy self-worth, and self-control. 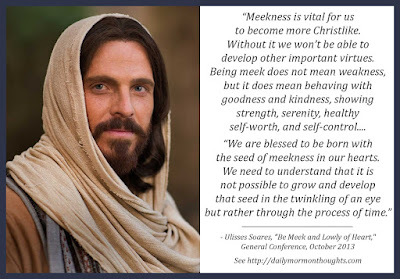 "Meekness was one of the most abundant attributes in the Savior’s life. He Himself taught His disciples, 'Learn of me; for I am meek and lowly in heart' (Matthew 11:29). "We are blessed to be born with the seed of meekness in our hearts. We need to understand that it is not possible to grow and develop that seed in the twinkling of an eye but rather through the process of time. Christ asks us to 'take up [our] cross daily' (Luke 9:23), meaning that it must be a constant focus and desire." 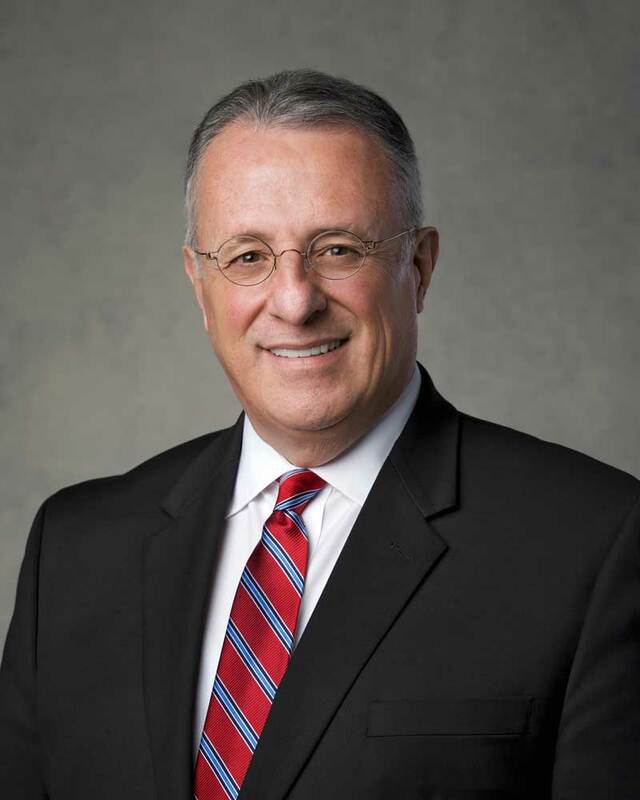 This talk was given shortly after Elder Soares was called to the presidency of the Seventy. His summary of the characteristics and qualities of meekness was interesting and helpful. The idea of our temperament being "calm, docile, tolerant, and submissive" seems like a distant goal at times, but is certainly one to aspire to and work toward. 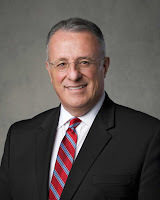 Elder Soares suggests that we obtain meekness as a "fruit of the spirit" through a righteous lifestyle, and through our efforts to emulate the Savior in our daily activities. Developing qualities of meekness leads us to be more Christlike, one of the best goals we could have. It's especially important to note that we are "born with the seed of meekness in our hearts" but that the full development of the quality of meekness, like the growth of a plant from a seed, requires time and continuing nurturing. How important it is for us to continue that nurturing in our personal lives!